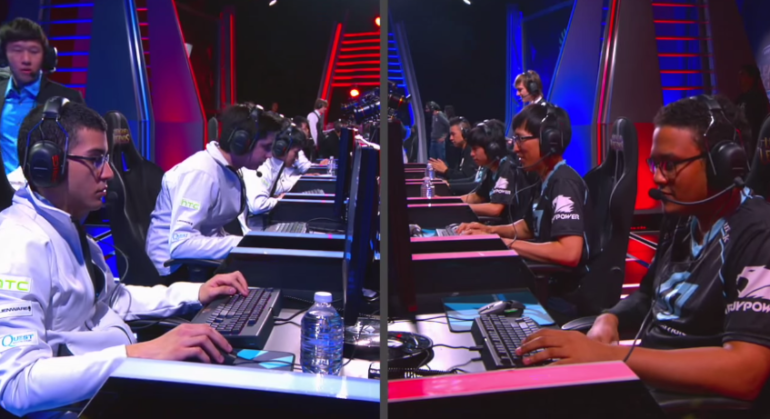 Team Liquid and Counter Logic Gaming about to get into the match to decide who will go undefeated in the opening week of the NA LCS. Players are listed best to worst; top to bottom based on their statistical performance. Team Liquid and Counter Logic Gaming about to get into the match to decide who will go undefeated in the opening week of the NA LCS. *GPM is different than in the LoLesports website because their game time continues a few seconds even after the Nexus is destroyed whereas I have used the game time that stops closer to when the Nexus is destroyed. Typically ridiculed for his sub-par play, Cris not only played extremely well this week, he topped all four quantifiable categories for the top lane. Head and shoulders above all the other nine Top Laners, Cris is without a doubt one of the most surprising gems of this week. Possibly even more surprising, the top laner for the only team to go 2-0 this week is near the bottom due to really low stats across the table. However there are times when numbers don’t always show the truth and this is one of those occasions. Quas was instrumental in tying up the enemy during teamfights to allow Team Liquid’s sub to have the best possible room to perform. The bane of NA fantasy jungle points, Rengar was the second most picked champion in the opening week of the NA LCS, just 1 pick behind Jarvan. This kitty ended the week with a 20% win rate, an average GPM of 238.5 and a KDA of 1.4. The MVP for this week, IWDominate fully lived up to his name and was a force to be reckoned with in the jungle. Looking to contest Meteos’ position as the best NA jungler, IWDominate had the biggest role in Team Liquid’s decisive victories this week by accelerating his lanes’ advantage and being at the perfect place almost every time to counter gank. Despite some laughably awful plays against Team Liquid, TiP’s new Korean jungler actually ended the week with surprisingly solid stats due to their quick 24 minute against Dignitas. Meanwhile the best Western jungler sits at the bottom of the group, only bested by Crumbzz who came last in every category. On a role that typically has solid Kill Participation, it’s a wonder how as to Crumbzz got less than 50% Kill Participation, the lowest for junglers on both NA and EU. It appears Cloud 9’s jungler was caught quite literally with his pants down. Bjergsen remains the best mid laner of NA. Despite TSM’s shocking loss to Team 8, the Danish mid laner still managed to pull out some impressive numbers. Shiphtur continues to be one of Dignitas’ few bright lights. He ended the week with the highest KDA and CS per minute for mid laners despite going 1-1 with their only win being the direct result of a massive blunder from Team Coast. Like Crumbzz, the statistical difference between the the last spot mid laner and second to last his huge. With the exception of a mediocre Kill Participation, Hai has the lowest stats for mid laners in all other categories. FeniX displays his skills and the power of Azir by turning around this 3-man gank. In a team composed of 3 subs, Winterfox’s Altec performed like an absolute monster. With strong stats across the table despite going 1-1, Altec looks to establish himself (if not already) as amongst the best of NA AD Carrys. Speaking of subs, the champion of the people; KEITHMCBRIEF had an excellent week and no doubt set the bars high for Piglet to match. Meanwhile Cloud 9’s Sneaky becomes the first player in both the EU + NA LCS to end the week with a perfect 100% Kill Participation which actually speaks volume to Cloud 9’s poor play making this week. Although having the highest support stats in KDA and GPM, Xpecial was barely unable to sit at the top due to having the lowest Kill Participation. Aphromoo’s impressive grabs on to the inexperienced KEITHMCBRIEF is amongst one of the only reasons as to why CLG managed to stretch the game’s length to 42 minutes, the longest in NA LCS this week.